Howard SC, Davidson A, Luna-Fineman S, et al. A framework to develop adapted treatment regimens to manage pediatric cancer in low- and middle-income countries: the pediatric oncology in developing countries (PODC) Committee of the International Pediatric Oncology Society (SIOP). Pediatr Blood Cancer. 2017;64 https://doi.org/10.1002/pbc.26879. WHO Definition of Palliative Care. Available at: http://www.who.int/cancer/palliative/definition/en/. Accessed on 8th July 2018. 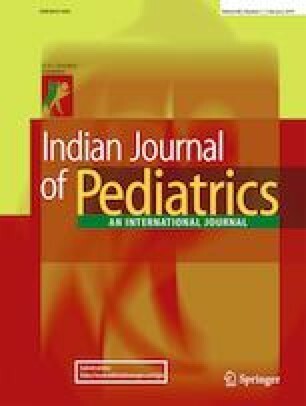 Kaushal T, Satapathy S, Chadda RK, Bakhshi S, Sagar R, Sapra S. Hospital based psychosocial support program for children with ALL and their families: a comprehensive triad’s perspective. Indian J Pediatr. 2018; https://doi.org/10.1007/s12098-018-2679-z.